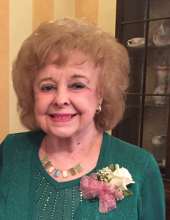 Patricia Green Lester, age 83, passed away Sunday, March 24, 2019. She was born to Tyndall Grady and Eula Bell Green on December 11, 1935 in Fort Smith, Arkansas, which had the closest hospital to their home in Wilburton, Oklahoma. The family resided in Bremen, Doraville, and eventually settled in Decatur, Georgia, where Patricia attended and graduated from Decatur High School. After a year at the University of Georgia, where she was a member of Zeta Tau Alpha sorority, she married William Franklin Lester in August of 1957. They had two daughters, Kim Louise and Cheryl Kay. Patricia was a member of Junior League of DeKalb County and enjoyed volunteer work. When the girls were in elementary school, Patricia went back to school at Georgia State University and completed her bachelor’s degree. She taught finishing school at John Robert Powers in Atlanta before starting what would become a long-term career as a real estate agent. While business associates called her Pat, she was always Patricia to family – the family she loved to travel with, to be with, and most importantly, to love. She was proud to be a grandmother, and especially excited to brag about her most recent title: great-grandmother. Patricia is preceded in death by her parents and her husband. She is survived by her daughters, Kim Lester Hill and her husband Tim Hill, and Cheryl Lester Durham and her husband Robert Durham; grandchildren Bryan Hill, Kevin Hill, Megan Hill Kendall, Rachel Hill, and Anna Grace Durham; great-grandchildren Jacob Hill, Elizabeth Hill, Ava Hill, Davis Hill, Will Kendall, and Ellie Kendall; sister, Linda Green Wheeler and her husband, Warren Overton Wheeler; brother-in-law J. Harvey Lester and his wife Odean; nieces Becky Holcombe, Ashleigh Wheeler, Tricia Miller and her husband, Dr. Jeremy Miller; nephews Skip Holcombe, and John Lester and his wife Ann; grand-nieces Chloe Wheeler Forster, Sara Marie Miller and Emily Miller. In lieu of flowers, donations may be made in her memory to the American Diabetes Association. Per Patricia’s wishes, the family will have a private graveside service on Thursday. The family will be receiving friends on Wednesday, March 27th from 6:00 until 8:00 at A.S. Turner & Sons. To send flowers or a remembrance gift to the family of Patricia G Lester, please visit our Tribute Store. "Email Address" would like to share the life celebration of Patricia G Lester. Click on the "link" to go to share a favorite memory or leave a condolence message for the family.